Judd Apatow to perform at USO comedy show with Jon Stewart and David Letterman. Judd Apatow will be headlining the USO comedy show on May 5. According to the Associated Press, Judd Apatow along with Jon Stewart and David Letterman will perform at the USO comedy show next Thursday in adherence of Military Appreciation Month. The event will be attended by President Barack Obama, first lady Michelle Obama, Vice President Joe Biden and second lady Jill Biden, along with 1,500 service members and their families. The show will mark the fifth anniversary of Joining Forces and the 75th anniversary of the USO, a military service organization. Joining Forces is the nationwide initiative launched by Michelle Obama and Jill Biden in 2011 to support military families. Filmmaker Apatow is headlining next Thursday’s event at the Andrews Air Force Base in Maryland. The former host of ‘The Late Show’ David Letterman and former ‘The Daily Show’ host Jon Stewart are expected to perform along with comedian Judd Apatow. 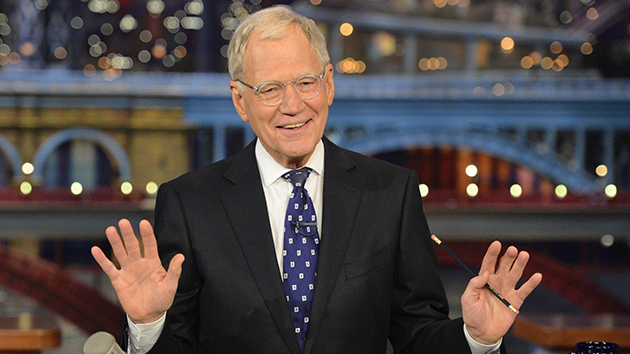 The upcoming USO comedy show will mark a rare public appearance of the former talk show host, David Letterman. He had retired a year ago from the show. The former host of ‘The Daily Show’, Jon Stewart had attended the awards dinner to help honor organizations dedicated to making significant contributions to the U.S. Armed Forces. Earlier this month, he also co-hosted a USO event in Arlington, Virginia. The comedy show is one of the several events that Mrs. Obama and Mrs. Biden are attending for their initiative’s anniversary. The White House says that they are scheduled to appear together on Monday’s episode of NBC’s The Voice and Wednesday’s episode of The Night Shift to further raise awareness for the cause to support military families. The first lady, Michelle Obama will have a guest appearance on Tuesday’s episode of NCIS on CBS.